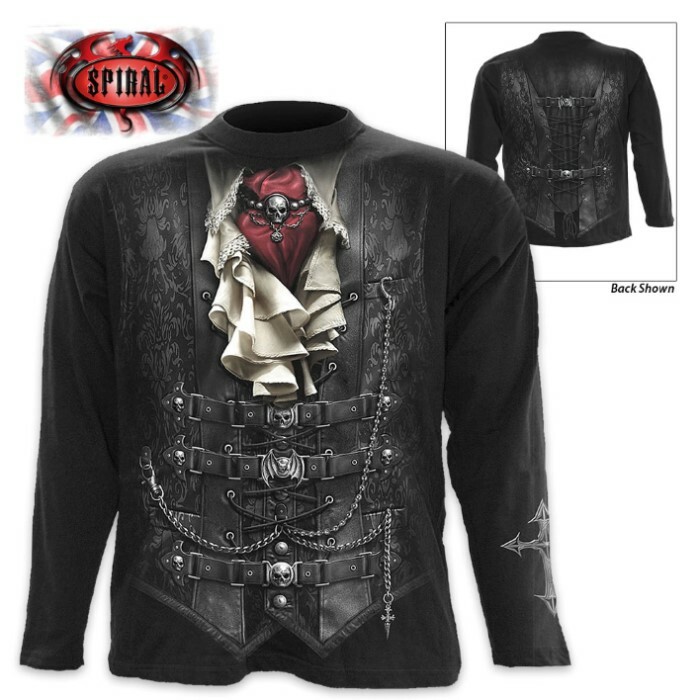 No respectable Gothic biker should be without a T-shirt that features a realistic waistcoat with a ruffle shirt and various skulls, bats and chain accessories, including a red silk cravat. The black wrap, long-sleeve tee is completely covered in the vivid, original artwork, using skin-friendly, Azo-free reactive dyes. 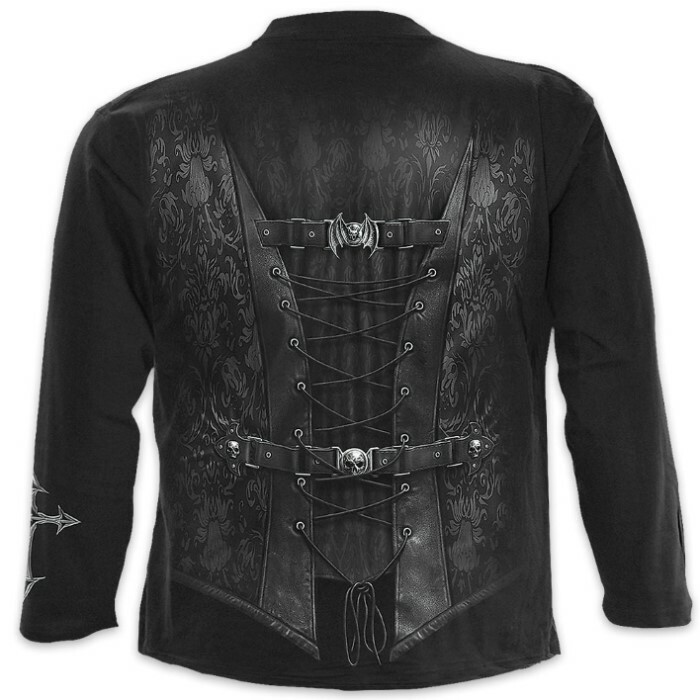 The shirt is made of top quality 100% cotton interlock and comes in large, 1XL and 2XL. 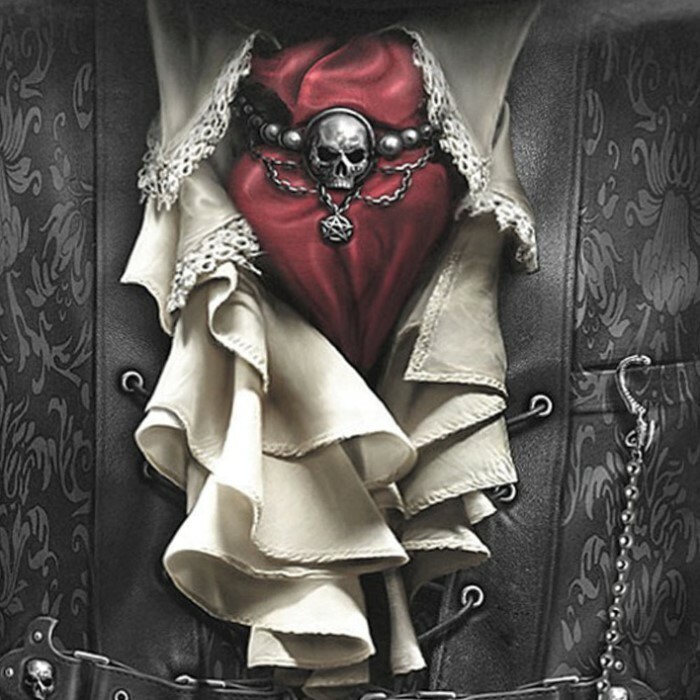 It is every bit a Gothic masterpiece!